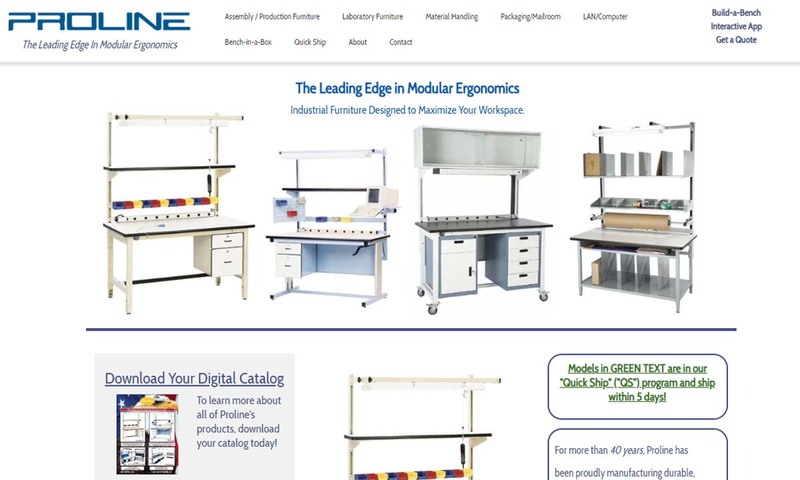 A reliable source for Work Bench Manufacturers information and a resource for accessing leading Work Bench Manufacturers and suppliers. A workbench, or workstation, is a convenient surface for workers to put together components, perform repairs, and conduct other important functions of their job. By lifting things up to waist level, workbenches help to avoid injuries caused by strain and make regular tasks more comfortable. 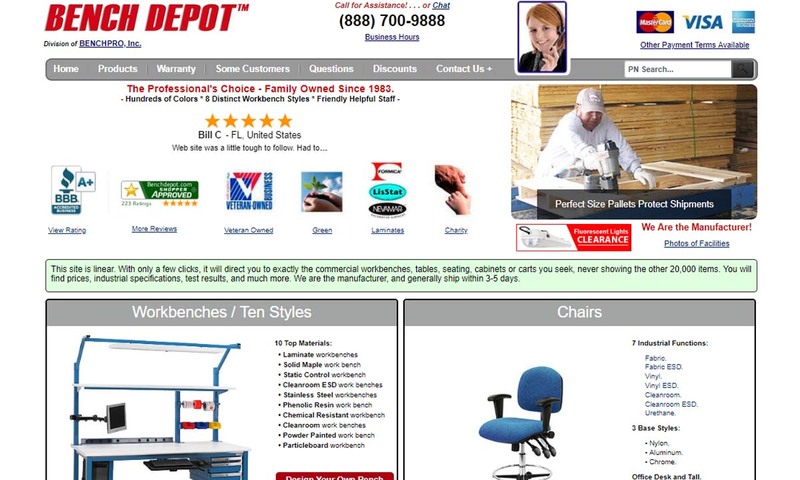 Workbenches for industrial workplaces are usually made of steel or another metal because they must be durable and strong. 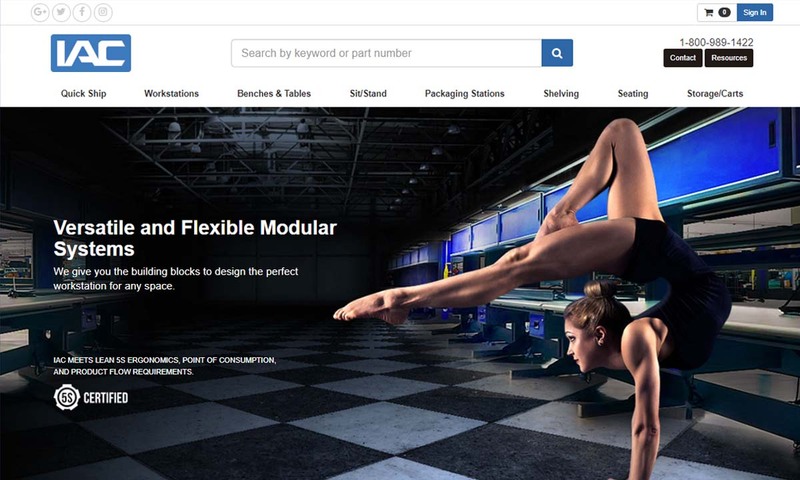 One example is a packaging table; a unit that gives workers a place to prepare packages for shipment without having to lift of push heavy objects. Another type of workstation, a modular workstation, is built with adjustable shelving and bins to help organize the workspace. Manufacturers A workbench, or workstation, is a convenient surface for workers to put together components, perform repairs, and conduct other important functions of their job. By lifting things up to waist level, workbenches help to avoid injuries caused by strain and make regular tasks more comfortable. 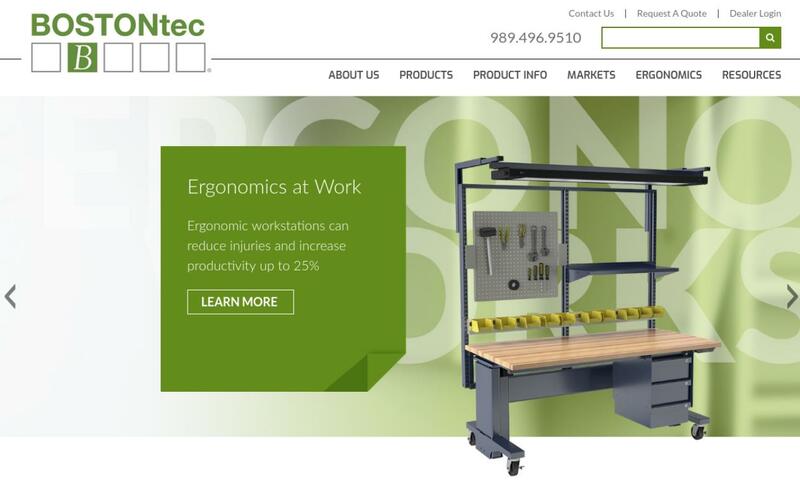 Workbenches that are built to be adjustable can be modified to meet the needs of employees of various heights. In many cases, the height of not only the workbenches but also desks, chairs and even drawers or cabinet can be altered to suit the user. Some workbenches have interlocking components that can be rearranged as necessary. In a busy setting, it may be more convenient to have quick access to overhead shelves, where in another place the tools or items on the shelf may only need to be accessed occasionally. Modular workbenches exist to reflect situations like these. 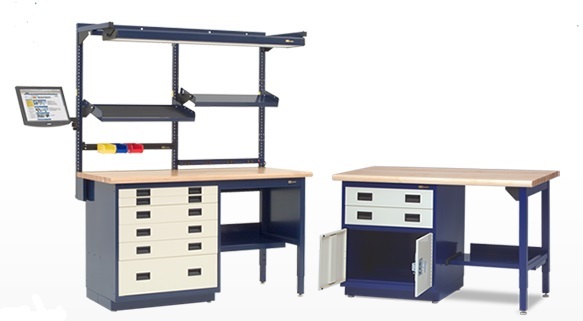 Distributors and manufacturers alike often talk about workstations and workbenches as if they were the exact same thing, but they do technically have two different meanings.  “Workstations”, in industrial circles, refers specifically to assembly tables, chairs, storage benches, racks, laminar flow benches, cleanroom work benches, and office tables. 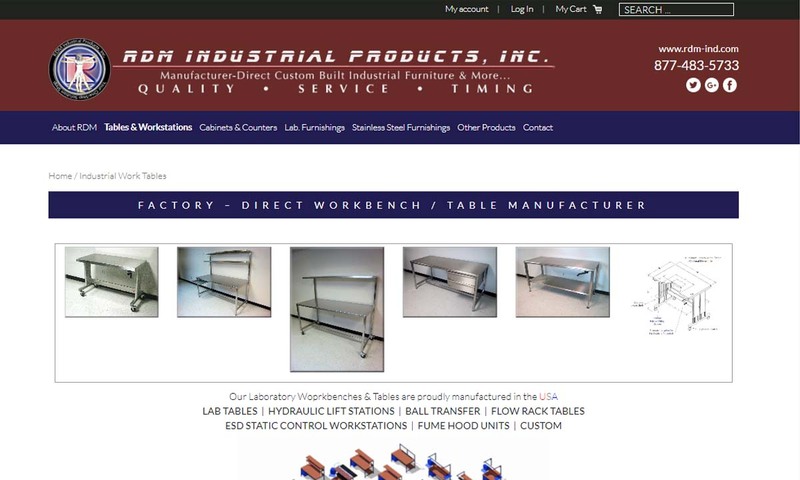 Although “workbench” often refers to these very same items, it is meant to refer directly to assembly tables, storage tables, and lab work tables. It focuses on work surface areas instead of entire units with furniture, like shelving and storage. “Workstations” in the broader commercial and manufacturing communities generally refers to either a) office, IT, home or school workplace furniture and computer work stations, CPU holders and furniture or b) computers and computer systems which provide a software “work station” for IT administrators. 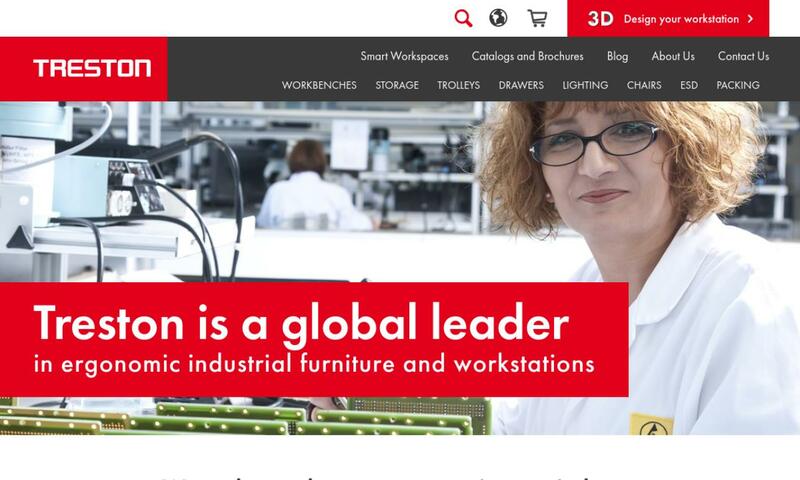 To be clear, “Workbenches”, refers to equipment used in industrial manufacturing, with perhaps the general exception of woodworking and hobbyists’ workbenches, which are understandably related to industrial workbenches. Most workbenches are designed to include shelves reels and other components that make it easier to assemble parts.